Glidgets is a pen-based interface for exploring graph visualizations that evolve over time. The graph below consists of nodes (circles) that are connected by edges (lines). These visual elements represent a social network using the Van De Bunt Dataset. People are represented as nodes and if two people are friends, and edge is drawn. 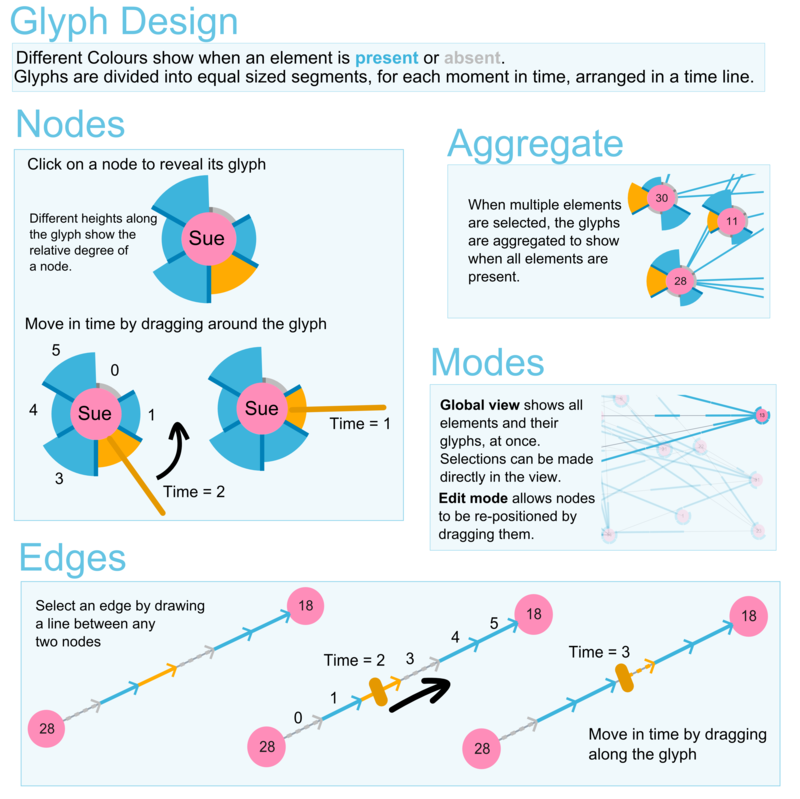 Nodes and edges in the graph can be interactively selected, and glyphs are drawn to show how they change over time. Find out more about this work on the full project website.